As a member of the Board of Directors and LumaCyte’s President and Chief Business Officer, Renee leads LumaCyte’s corporate development and investor relations, as well as global sales and marketing. 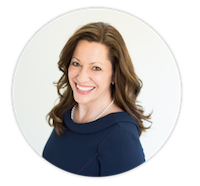 She brings over 20 years of executive level business development, operations and strategic partnering experience across the biopharmaceutical, software and clinical development service arenas. Renee’s expertise in managing large scale, highly complex strategic partnerships has garnered her many long-term trusted relationships and oversight across significant multi-million dollar partnerships and transactions in the life science space. Prior to joining LumaCyte, Renee was SVP and head of the global partner business unit for Medidata Solutions where she led strategic efforts for driving deeper and broader global market penetration of Medidata’s clinical cloud platform for clinical trials. She has also held executive level roles at both Syneos Health (previously inVentiv Health) and Clinipace Worldwide, bringing valuable corporate and executive level leadership and governance experience to her role. Renee’s experience and earned expertise has touched every aspect of the biopharmaceutical and life sciences industry, providing her a unique perspective into the needs and challenges of the market. Her collaborative spirit and strong focus on solution management coupled with her philosophy of driving growth through innovation and high trust partnership is proving very valuable in accelerating the adoption of LumaCyte’s transformative, game changing Laser Force Cytology (LFC) TMtechnology and global business. Renee has a Bachelor of Science degree in biology from Marshall University.